If you are a Harry Potter fan, Universal Orlando Resort has a special event that you may want to attend. The event is A Celebration of Harry Potter™ at Universal Orlando Resort™. You can take part in all-new experiences as well as returning fan favorites such as film talent Q&A sessions, special panels and demonstrations, the Harry Potter™ Expo, and more. 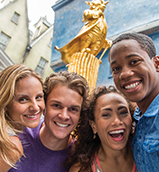 You get to explore The Wizarding World of Harry Potter™ – Hogsmeade™ at Universal’s Islands of Adventure™ and Diagon Alley™ at Universal Studios Florida™. Dine at the Leaky Cauldron™ and the Three Broomsticks™, see a wand choose a wizard at Ollivanders™, and then ride Harry Potter and the Escape from Gringotts™, Harry Potter and the Forbidden Journey™ and other thrilling attractions. With Park-to-Park admission tickets, you can even ride between both lands of The Wizarding World of Harry Potter™ on the Hogwarts™ Express*.A Celebration of Harry Potter™ is an unforgettable event where the magic of Harry Potter™ continues, and it’s only at Universal Orlando Resort™. At A Celebration of Harry Potter™, you will have the chance to see some of your favorite actors from the Harry Potter™ films. Plus, enjoy interactive question and answer sessions with select film talent to discover what it was like to work on one of the most successful franchises in history. Since taking on the role of Draco Malfoy™, Harry Potter’s nemesis, in Harry Potter And The Sorcerer’s Stone, Tom Felton quickly emerged as one of the industry’s most promising talents. Starring in all eight of the Harry Potter™ films, Tom has become a household name. He was most recently seen in Screen Gem’s Risen alongside Joseph Fiennes and Message from the King alongside Teresa Palmer, Luke Evans and Jake Weary. On television, Tom has appeared in The CW’s mini-series Labyrinth and the TV movie Second Sight: Hide and Seek. Tom can currently be seen in the role of Julian Albert on the CW’s hit series THE FLASH. 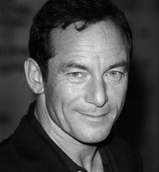 The Golden Globe, BAFTA, International Emmy Award and Critic’s Circle Award-nominated actor Jason Isaacs began his acting career at Bristol University, where he studied Law. After graduation, he trained for three years at London’s prestigious Central School of Speech and Drama. In 2000, his breakout role as Colonel William Tavington in Roland Emmerich’s feature film The Patriot garnered him numerous nominations, including one from the British Film Critics’ Circle. Two years later, Isaacs began his role as Lucius Malfoy in Harry Potter and the Chamber of Secrets. He went on to reprise the role and garner global recognition in Harry Potter and the Goblet of Fire, Harry Potter and the Order of the Phoenix, and in the last two films, Harry Potter and the Deathly Hollows, Parts I and II. Warwick began his career purely by chance as a boy in 1981. His grandmother heard a radio announcement calling for people under four feet tall to appear in the new Star Wars film, Return of the Jedi. Warwick’s gestures were so characteristic of George Lucas’ vision of an Ewok that he was recast as Wicket, who became one of the film’s lead creature characters. 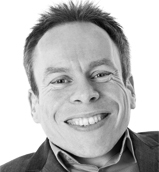 Warwick is best known for his roles as the title characters in Willow and the Leprechaun film series, Reepicheep and Glimfeather in the BBC Television adaptation of The Chronicles of Narnia, and as Professor Flitwick and the goblin Griphook in the Harry Potter films. 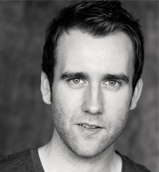 Matthew Lewis rose to fame as Neville Longbottom™ in all eight Harry Potter™ films. Since the conclusion of Harry Potter and the Deathly Hallows: Part II, he has starred in Rowan Athale’s Wasteland and was in the recent film adaptation of Me Before You alongside Sam Claflin and Emilia Clarke. Matthew’s TV credits include Bluestone 42 and The Syndicate and in 2017 he will appear in Ripper Street and Happy Valley. His live stage performances include Our Boys at the West End directed by David Grindley and Agatha Christie’s Verdict at the Theatre Royal directed by Joe Harmston.